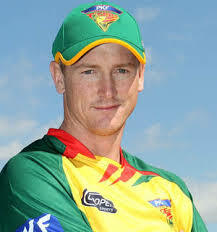 01-Feb-2012: George John Bailey didn't play any match in that series, but his captaincy for Tasmania so impressed the selectors that he was named Australia's Twenty20 captain in the 2011-12 season. That made him the first player since Dave Gregory in the first Test match in 1877, to be named captain in his first match for Australia in any format. 02-Nov-2013: George Bailey's aggregate of 478 at an average of 95.60 during India series is the second best in a bilateral series in ODIs (1st Rohit Sharma in same series).